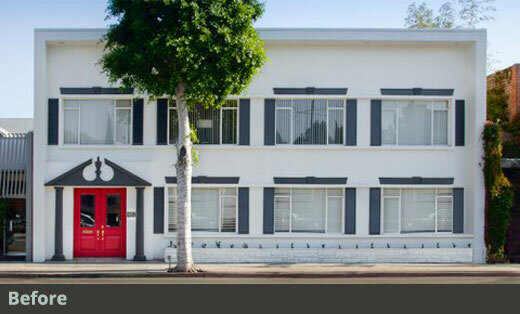 After 20 years in a Westwood high-rise office building, Mapleton Investments, which Mapleton Properties is a division of, purchased a two-story building located at 9952 Santa Monica Blvd in Beverly Hills. Starting construction in the fall of 2012, Gensler, a global design firm, completely revamped the exterior of the M Building and gutted and redesigned the interior of the building. 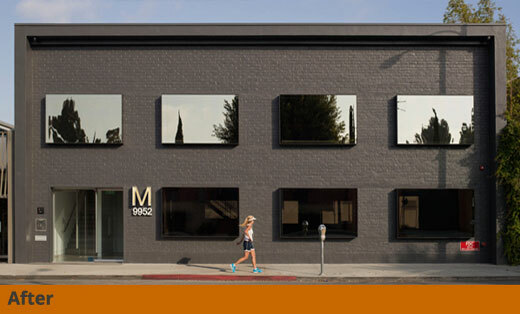 Mapleton moved into their new space in April 2013, and the building was honored with numerous awards for design, both domestic and International. 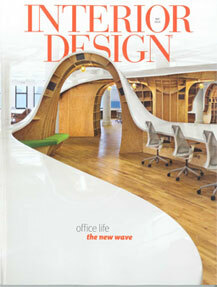 Read about Mapleton’s M Building IIDA award.